“The vinazas are acidic, they have an oil that makes the soil impermeable, and are hot when they are dumped. The acid is not recommended for agriculture; it should be neutralized. The oil makes the soil hard so it is useless for farming. And where the ground cracks, the vinaza filters into underground water sources,” José Hernández, a researcher with the University of Guadalajara and member of the Mexican Academy of Sciences, told development-oriented wire service Tierramérica. 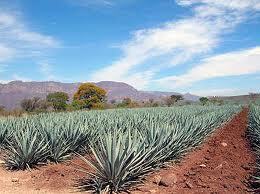 just a little technical note: while Jalisco is certainly where the majority of the worlds tequila is made, it is not the ONLY place domain that produces authentic tequila. i wonder how many sustainable tequila distilleries/agave farms there are in mexico and which ones are the worst polluters (my money’s on Patron).